Graphs at a Glance: Spending our property wealth led to the economic crash in 2008. 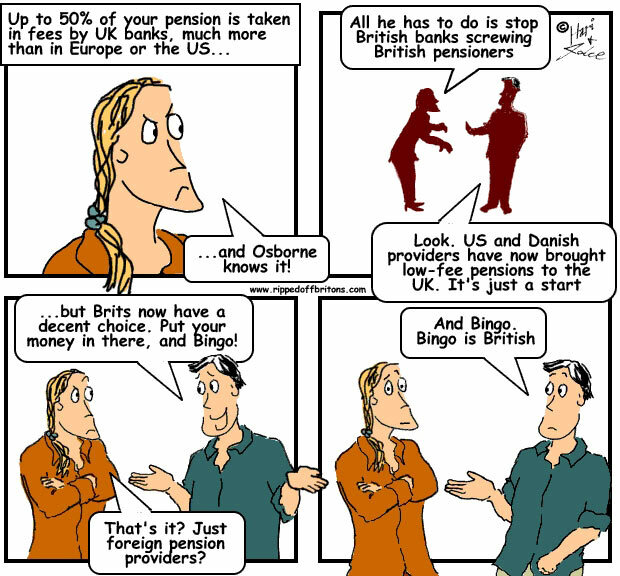 What will spending our pension pots lead to? Dickens' fictional optimist Mr. Micawber stated the secret to his happiness was to have an income larger than his expenditure. Dickensian optimistic fictionalist George Osborne devised a way to dodge this restriction of income threatening to stand in the way of his happiness. George conceived a way to lower our incomes (low pay recovery and welfare cuts) and yet increase our household expenditure (which since 2012 has been the basis of GDP growth, and therefore the foundation of Osborne's credibility and thus his happiness). In March 2015 the Office for National Statistics (ONS) commented "following recent trends, quarterly growth was largely driven by stronger household spending". Helped in no small extent by consumers spending the £20billion paid in compensation by the banks for their Payment Protection Insurance scam. The ONS graph below shows since 2012 household spending (labelled HHFCE and NPISH) has been the one consistent bedrock of GDP growth in the UK. In the same month, the Office for Budget Responsibility (OBR) reported that gross household debt was heading back to levels last seen just before the 2008 banking crash. A crash which had as one of its central causes excessive household debt. And another graph from the “Budget 2014: Background Briefing”, produced by Parliament's impartial House of Commons Library showed how consumption had been rising strongly in recent years despite falling real wages. Osborne's big idea to get households to spend more without any more income, was that we should spend our assets! This isn't a totally new idea. Britons have two great stores of assets: our homes and our private pensions. "the remarkable result is that under Mrs Thatcher from 1979-90, just as under Tony Blair from 1997-2007, the real value of Housing Equity Withdrawal is larger than the real value of GDP growth"
"People aged 55 and over with defined contribution pensions will be able to withdraw their savings as they wish, subject to marginal rates of income tax and scheme rules. No-one will be required to buy a guaranteed lifetime annuity with their pension pot and all other existing restrictions on accessing entitlements will be lifted." People with Defined Benefit (DB) pensions aren't left out, as they can convert their DB pension to a Defined Contribution and then cash it out (though giving up the advantages of a Defined Benefit pension generally makes this a terrible idea). We once had little option but to take our pension savings in a dribble over the course of our retirements. Osborne has now given us access to the whole pot in a dollop. The result of all this has been carefully assessed in the 2014 Budget. Tax comes from the flow of money. The HMRC graph below shows a short term tax bonanza, from people cashing in and spending their pensions. Followed by an ongoing trough from people having spent their savings and having to live on less. Interestingly enough, here is an example where it won't be the poorest who get ripped off. 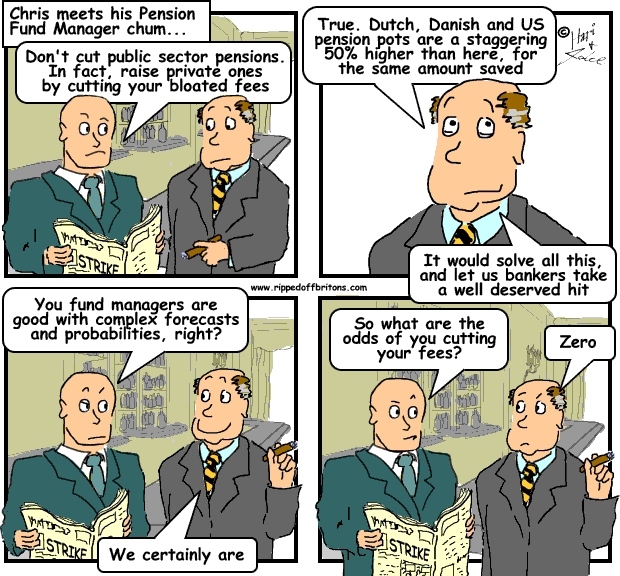 ONS figures show that nearly a quarter of households have no private pension savings at all to be ripped off. Which is not surprising when you consider a report in 2014 by KPMG, the accountancy firm, that stated "The latest figure indicates that 22 percent of employees now earn less than the Living Wage". Living on less than the living wage leaves less than nothing to save in a private pension. With the wealthiest able to afford good advice, the juiciest targets for the scammers will be everybody in the upper middle. "If today, a typical young Dutch person and a typical young British person were both to save the same amount for their pension; if they were to retire on the same day, and die at the same age, the Dutch person is likely to get a pension which is at least 50% higher than the British one." However, having been ripped off by the regulated rogues of The City of London, Osborne has opened the gates for us to be ripped off by their equally evil unregulated twins in the boiler rooms. Following the standard "Smoking Kills" principal of useless advice, providing the government with the "We did warn you!" parachute, The Pensions Regulator provides a seven page booklet. These seven pages of large print and pictures, according to The Pensions Regulator, provide "the best possible protection against scammers". "Scammers don’t care whether you’re an inexperienced investor or have never put your money anywhere other than a bank. They will try to flatter, tempt and pressure you into transferring your pension fund into an investment with attractive sounding returns. Once you’ve signed the forms and the transfer has gone through, it’s too late. You’ll probably lose all your savings and end up with nothing but a hefty tax bill. Remember, the only people who benefit from scams are the scammers themselves"
And that seven page booklet, according to The Pensions Regulator, is the "best possible protection against scammers". Which is probably true if the alternative is relying on regulation by the Financial Conduct Authority (FCA). Regulators in Britain, from OFGEM to the FSA and FCA, have proved to be terrible at protecting Britons from being ripped-off. You will perhaps be no worse off using the seven pages as a scammer swat. "It forecast an estimated £320m would have landed in the Treasury's coffers in 2015-16. Yet tax is actually likely to bring in an extra £700m over the year, research for BBC News from Hargreaves Lansdown suggests."